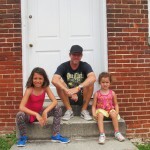 “A Visit with the Urban Pirates”. Shortly after moving aboard we noticed that several times a week a Pirate ship named the Fearless would come past our boat. 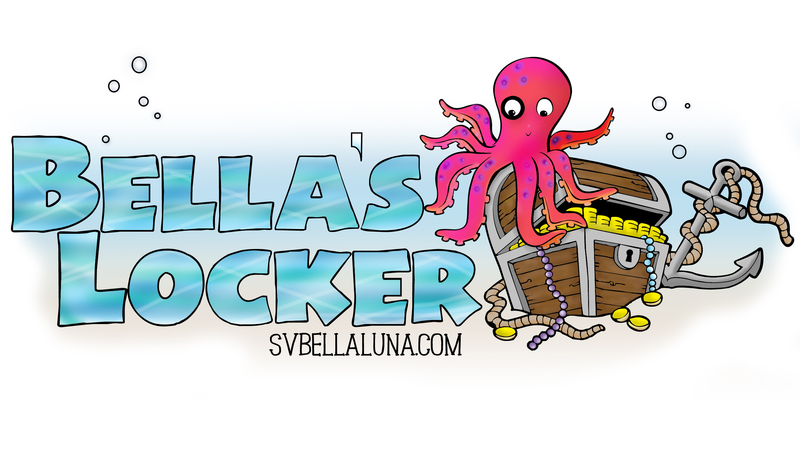 Usually it would be blaring loud music, Luna and I would run up on deck to dance and wave at the ship full of pirates and scalawags. Well, it turns out that the Captain of the Fearless lives in our marina and came by to give the us some pirate gear and an invite to come on a cruise on the Urban Pirates ship, the Fearless. We were super excited and soon enough we were headed out to sea with a scraggly crew of pirates. We seriously had a great time and were excited with how into the job the whole crew were. They were having just as much fun as everyone else. 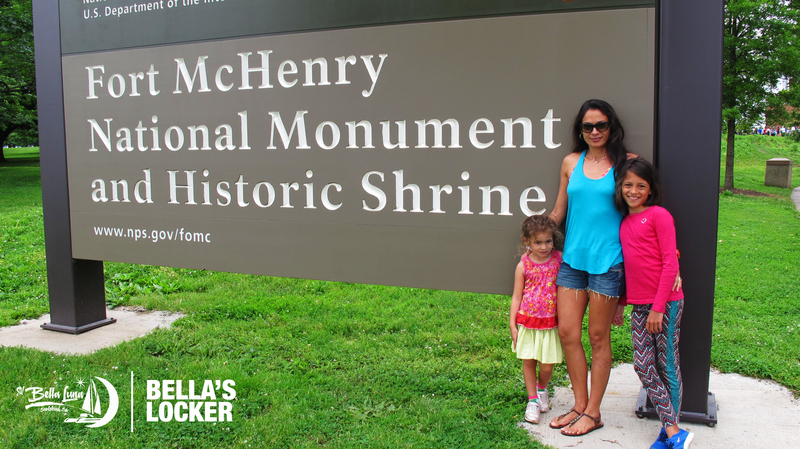 We highly recommend visiting when you are in Baltimore. 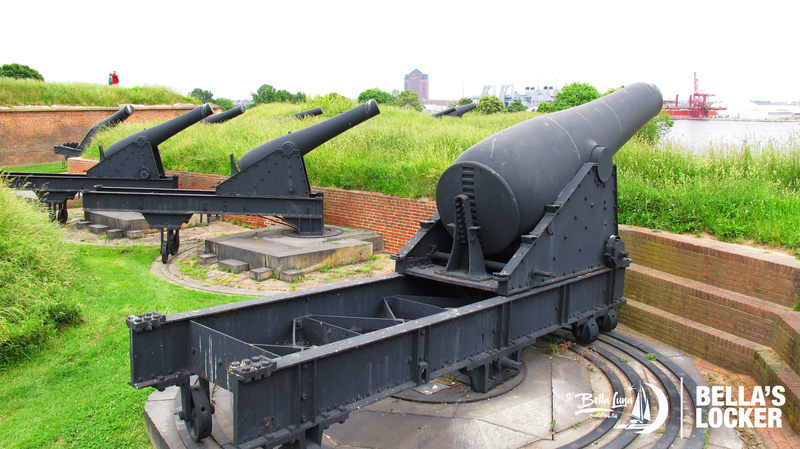 On Thursday we went to Fort McHenry and we saw the cannons they actually used in the war of 1812. We also saw all the the artifacts they recovered and we saw the 15 striped and stared flag. 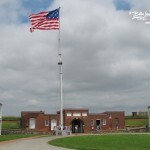 The flag that waves over Fort McHenry today is the only 15 striped and starred flag that still waves. 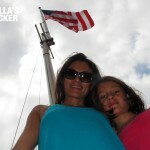 It flies on a flag pole that is in the Shape of a sail boat mast that might have been from a real sail boat from 1812. 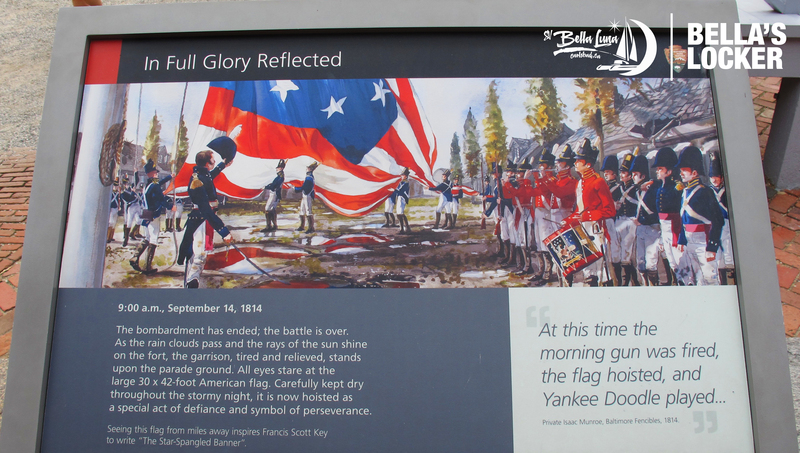 The real flag is 180 feet in all , it now sits in the smithsonian. 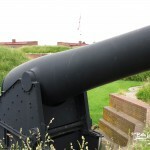 The cannons at Fort McHenry were huge they were 3x as big as me! The cannon balls were as big as a bowling balls. The cannon balls were 18, 24 and 36 pound solid iron balls . 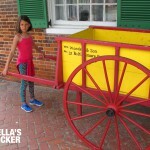 The cannon balls were put on Wooden carts for easy transportation , they were also know as barbette garrison carriages. When we visited fort McHenry we saw many different things that were every day objects like a key, pots and pans ,bottle caps, pins, silverware,and bones from chicken and turkey they ate. The coolest thing we saw was the cross base for the flag pole. 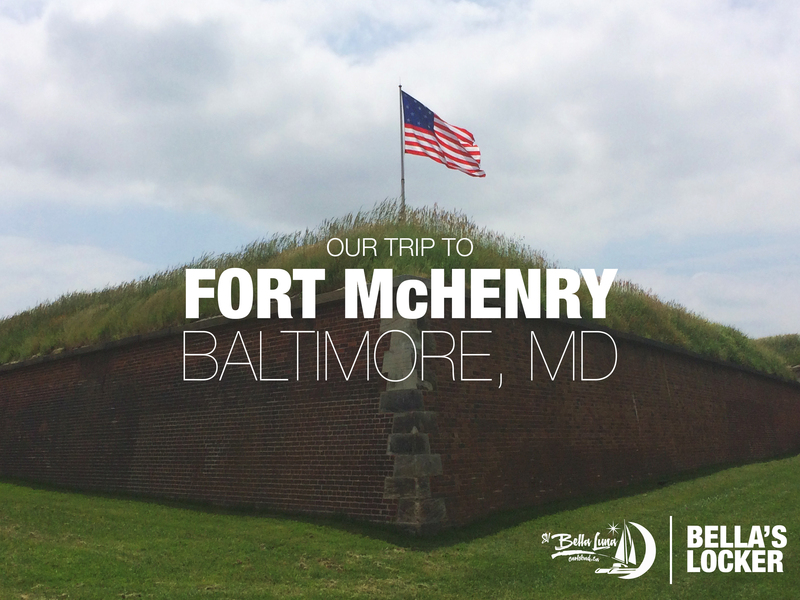 I believe that one day everyone should go witness the magnificent wonders of Fort McHenry because you are stepping on the actual floor that once was full of people trying to defend the city of Baltimore. Learn to tie a bowline with a Bunny. 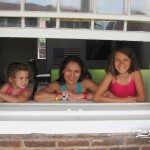 The reason I’m writing this is because we got a boat and the bowline is the knot we will use all the time. We will use it to tie up the dinghy up and to tie the sails. The bowline is used to make a loop at one end of a line. The bowline is an ancient and simple knot. In 1954 Pepole discovered the bowline in the rigging of the ancient Egyptian khufu’s solar ship. The bowline’s name comes from a long time ago dating to the time of square rigged ships. They tied their sails to the bow of the ships with this knot. The bowline is commonly used in sailing small crafts. For example to attach a halyard to the head of the sail, the dinghy to the boat and to tie the fenders to the side of the boat. 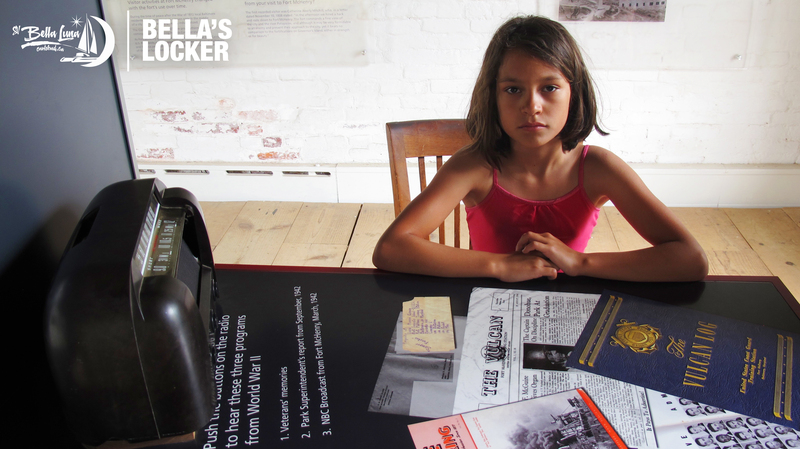 I hope you learned a little bit about the bowline and its history. 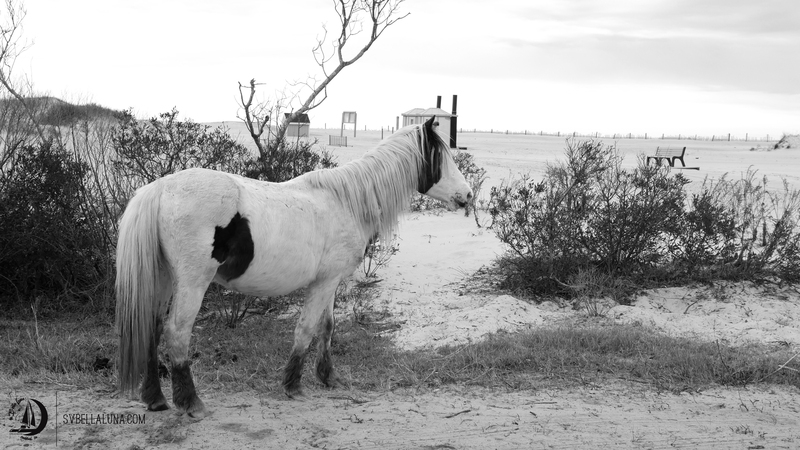 In this story we will talk a little bit about Assateague Island’s wild horses. You will learn how they got there, what they eat and there adaptations to the island. Some people think the horses came from a shipwreck off of the Virginia coast. Others believe that the settlers left them there because the island has a natural coral for the hoses to roam freely on the island. The truth is that no one really knows for sure how they got there. There are no records yet that comfirm the shipwreck theory. The second theory is that settlers were required to pay taxes for their livestock so someone decided to move there horses to the island to avoid the taxes. This is the theory that most people believe to be true. 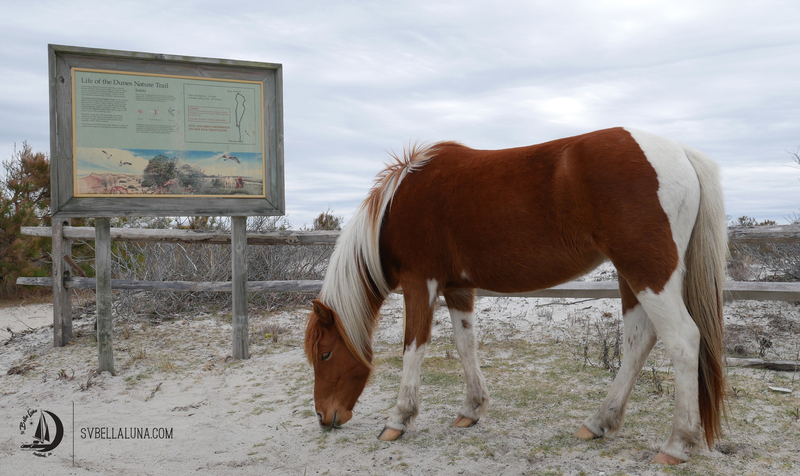 The Assateague hoases eat salt marsh cordgrass, salt meadow hay and beach grass, this diet is very nutrient-poor and has a high quantity of sal.t The horses’ short stature is a result of hundreds of years of adaption to this low quality diet. The Assateague horses drink twice as much water than a domesticated horse would, due to there salty food supply. 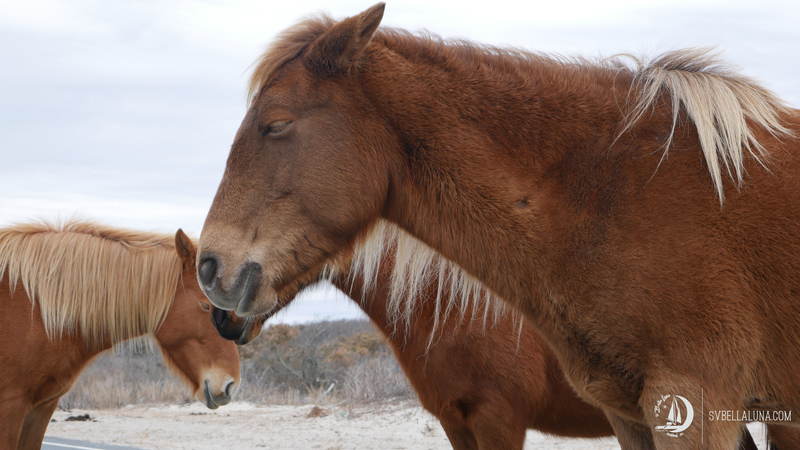 I hope you learned a little bit about the Assateague horses, and can go visit them someday.